Shellac Stack No. 158 ventures from April showers to the sunny side of the street, stopping to smell the flowers on the way. 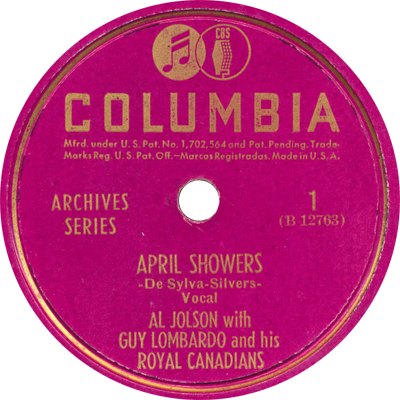 We hear from Al Jolson, the Tietge Sisters, Earl Fuller’s Rector Novelty Orchestra, Alec Wilder, Will Bradley, Sam Lanin, and many more in this vintage music variety hour.